Custom made weighted and sensory products. Weighted products provide Deep Touch Pressure which helps to calm the nervous system. The evenly distributed weight over the body can assist with regulation, focus, help reduce anxiety and improve sleep quality. Children and adults with Autism, ADHD, PTSD, Sensory Processing Disorder, Anxiety and Dementia can have positive benefits from using weighted products. 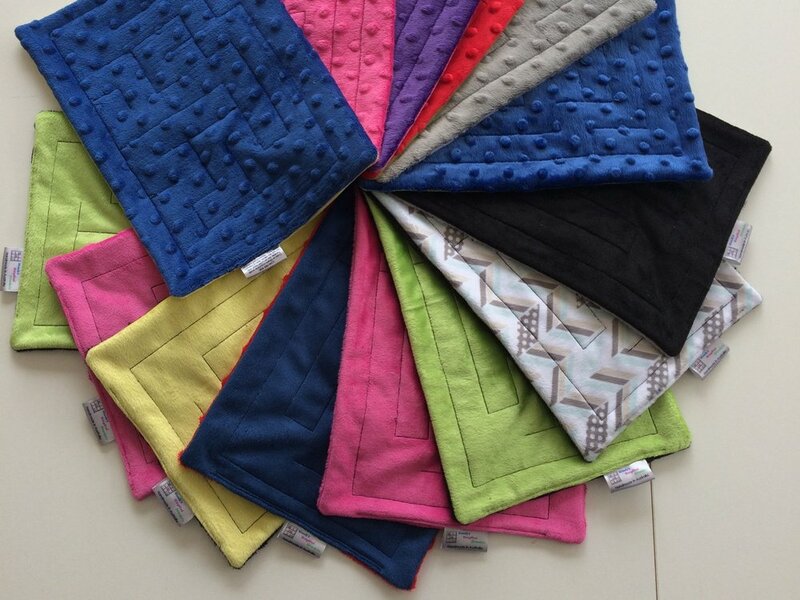 Beautifully crafted weighted blankets, quilts, lap pads and other sensory products, all designed and created here in Australia. Great quality products at very affordable prices. I want to make my weighted products accessible to everyone. Lay by option available too! Custom Made or Stocked item - all at the same great prices! My weighted products will be loved and treasured! Proud Sponsor of The Treehouse Geelong - Autism family support group. 150 cm x 100 cm or XL 170 cm x 110 cm approx. Stock items or Custom Made in your choice of fabrics. tock items or Custom made in your choice of fabrics. 55 cm x 55 cm approx. Stock or Custom Made in your choice of fabrics. Lycra Tunnels, body socks, SAC. Lots of fabulous fabric options to choose from. Contact me with your colour preferences, age group, gender and I will send you details of fabrics I think may be suitable. Fabric added on a frequent basis, simply email or call me and together we will be able to create something you will love! If you have a found a fabric you would love to have made into a blanket or quilt, then simply contact me and I will let you know if it is suitable to use. If a product you like is showing up as “Out of Stock” and you would like one, simply give me a call, I may have enough of the same fabrics available to make another one! Simply email wendy@wendysweightedblankets.com.au or call 0404 207 952 and together we will be able to create something you will love! Check out Facebook for latest news and customer reviews which will let you know what you can expect from my business.